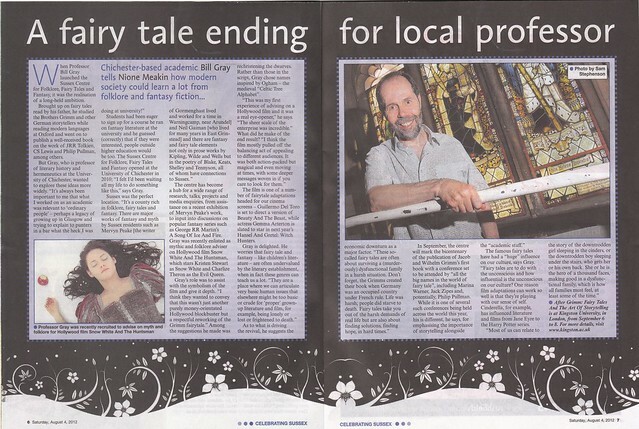 Professor Gray was featured in the Evening Argus newspaper on Saturday as part of a series called “Celebrating Sussex”. A clipping is reproduced below. When Professor Bill Gray launched the Sussex Centre for Folklore, Fairy Tales and Fantasy, it was the realisation of a long-held ambition. Brought up on fairy tales read by his father, he studied the Brothers Grimm and other German storytellers while reading modern languages at Oxford and went on to publish a well-received book on the work of JRR Tolkien, CS Lewis and Philip Pullman, among others. Students had been eager to sign up for a course he ran on fantasy literature at the university and he guessed (correctly) that if they were interested, people outside higher education would be too. The Sussex Centre for Folklore, Fairy Tales and Fantasy opened at the University of Chichester in 2010; “I felt I’d been waiting all my life to do something like this,” says Gray. The centre has become a hub for a wide range of research, talks, projects and media enquiries, from assistance on a recent exhibition of Mervyn Peake’s work, to input into discussions on popular fantasy series such as George RR Martin’s A Song Of Ice And Fire. Gray was recently enlisted as mythic and folklore adviser on Hollywood film Snow White And The Huntsman, which stars Kristen Stewart as Snow White and Charlize Theron as the Evil Queen. Gray’s role was to assist with the symbolism of the film and give it depth. “I think they wanted to convey that this wasn’t just another purely money-orientated Hollywood blockbuster but a respectful reworking of the Grimm fairytale.” Among the suggestions he made was rechristening the dwarves. Rather than those in the script, Gray chose names inspired by Ogham – the medieval “Celtic Tree Alphabet”. The film is one of a number of fairytale adaptations headed for our cinema screens – Guillermo Del Toro is set to direct a version of Beauty And The Beast, while actress Gemma Arterton is slated to star in next year’s Hansel And Gretel: Witch Hunters. In September, the centre will mark the bicentenary of the publication of Jacob and Wilhelm Grimm’s first book with a conference set to be attended by “all the big names in the world of fairy tale”, including Marina Warner, Jack Zipes and, potentially, Philip Pullman. 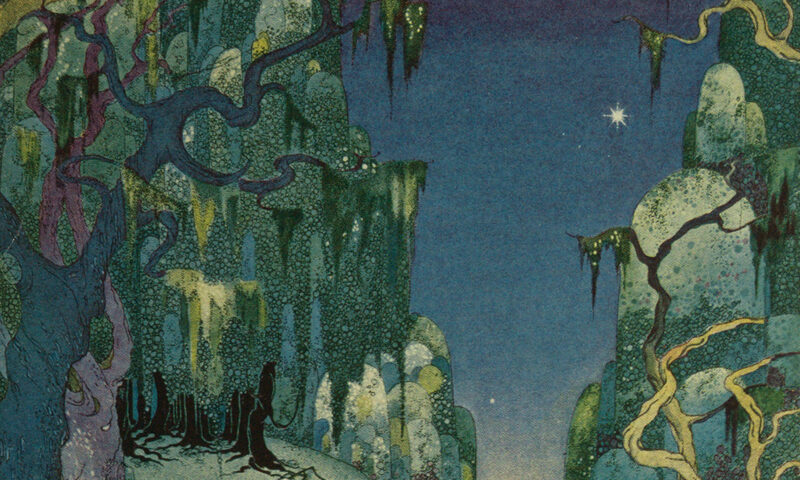 The famous fairy tales have had a “huge” influence on our culture, says Gray. “Fairy tales are to do with the unconscious and how influential is the unconscious on our culture? One reason film adaptations can work so well is that they’re playing with our sense of self. Cinderella, for example, has influenced literature and films from Jane Eyre to the Harry Potter series.